Despite lingering skepticism about the global economy, Internet search engines report a surge of interest in luxury watch brands, with global search volume on the rise for makers of high-end authentic watches. According to Geneva’s IC Agency World Watch Report, interest in luxury authentic watches has continued to grow, despite a floundering economy. After analyzing 25 luxury watch manufacturers, the study found that Jaeger LeCoultre, Audmars Piguet and Blancpain were the leading brands being searched online. The report followed the search trends for some 120 models, including the Jaeger LeCoultre Reverso, which accounted for 8.2 percent of total search volume among the group. This classically designed watch is unique in that its case can be inverted by the wearer and worn on the reverse side, allowing for more versatility and the appearance of owning two watches. This elegant series of men’s and women’s watches is available in solid gold, two-tone and solid steel, and in either a precision quartz or manual-winding movement. It is a sign of these economic times that the most popular model of luxury authentic watches being sought out online is also the most practical. The second most popular model was the Royal Oak, which is made by Audemars Piquet. Another interesting finding in this study was that over 300,000 people on social networking sites subscribe to the fan pages for popular brands of luxury authentic watches. 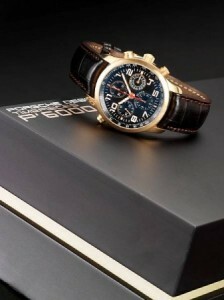 Jaeger LeCoultre is one of those luxury watch brands that truly seems to want to help make the world a better place. During November, the month when we are to being thinking about all that we have and how grateful we are, Jaeger held a VIP event at its Beverly Hills boutique to sponsor the Mbenga Foundation. Founded in the name of NBA basketball player Didier “DJ” Mbenga, this organization helps Congolese children and other refugees from the Democratic Republic of Congo who have sought asylum in Belgium. Mbenga himself was once one of these children. 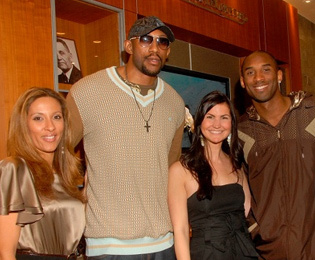 Guests mingled with Mbenga as well as Kobe Bryant, nibbled on h’dourves and tried on Jaeger watches; part of the proceeds of each watch sold went to support the foundation. 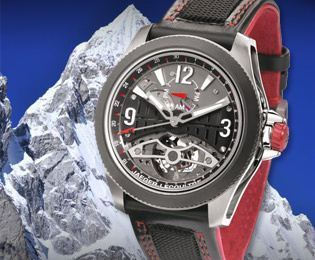 Earlier this year, the luxury watch brand Jaeger assisted in three men successfully summited the Himalayas, easily one of the hardest and most dangerous things to attempt. With the support of Jaeger (each man wore a different Jaeger watch), they made it to the top of the world’s highest peak. One of the watches worn was the “Jaeger-LeCoultre Geophysic Chronometer from 1958, a classic three-handed wristwatch with an anti-magnetic stainless steel case and luminous hour and minute hands.” The other was “the Jaeger-LeCoultre Master Compressor Extreme LAB timepiece, a highly acclaimed and technically exclusive model with a tourbillon introduced in 2007, and the third, which has not yet been released to the public, will make its debut at the 2010 SIHH (Salon International de la Haute Horlogerie) exhibit in Geneva. Summiting the Himalaya Mountains in Nepal is one of the most physically and psychologically challenging conquests that man dreams of. Many have tried and failed, often giving their lives in the process. The name Himalaya means “house or adobe of snow” and is a mountain range in Asia that separates the Indian subcontinent from the Tibetan Plateau. 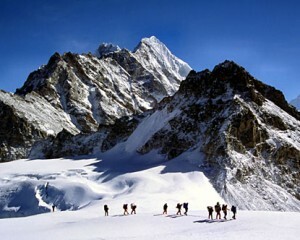 It is the world’s highest point and includes other famous peaks known as Mount Everest and K2. Those that do summit the Himalayas successfully get worldwide praise and much attention is given to the equipment that the hikers used. Recently three hikers made it to the top with the support of Swiss luxury watch brand Jaeger-LeCoultre. All three mountaineers; a Swiss climber named Stephane Schaffter, a 19-time Everest veteran Apa Sherpa, and another known as Little Karim, wore Jaeger men’s watches. And the third, was a watch that has yet to be released to the public, however now that it has passed the grueling conditions of the Himalayas, this watch which is in its final design stages and will be introduced at the 2010 SIHH (Salon International de la Haute Horlogerie) exhibit in Geneva, is sure to receive much acclaim and attention. Eva Mendes is hot. Anything she touches is hot. 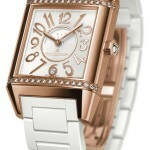 So, the fact that she was seen wearing yet another Jaeger-LeCoultre women’s watch is sizzling hot news for the brand. The talented actress, along with Nicholas Cage, just celebrated the release of their new film, “The Bad Lieutenant”, which is a remake of the original that starred Harvey Keitel in 1992. During the dinner celebrating her new film, Eva wore the Reverso Lady Squadra watch in pink gold by luxury watch brand Jaeger-LeCoultre. Pump it up! Turn up the volume and check out our jazzy video of Eva with her Jaeger-LeCoultre watch! Far from Hollywood, over in Germany, Jaeger-LeCoultre is also getting props for the Reverso Squadra Lady Duetto that Eva favors. 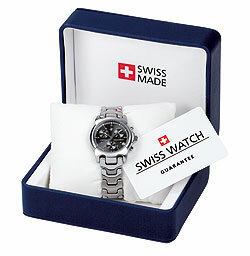 This model watch was named Germany’s “Best Lady’s Watch for 2009” by the German magazine “Armbanduhren” (don’t ask me what that translates to). The Squadra line of watches by Jaeger-LeCoultre is for both men and women and represents both an elegant and slightly sporty look. The fact that this particular watch also retains characteristics of the Reverso collection means that the wearer can flip the case around to reveal another watch dial. Both dials tell time; one side has a day / night indicator and date, while the other side just tells time. This watch comes in white, black and pink gold, like the one that Eva wears. Jaeger-LeCoultre must be loving that fact that such a beautiful, mature woman is sporting their watches and getting international press while doing so!